The Methodist Church in Wilbraham, around 1903. Photo courtesy of the Wilbraham Public Library. 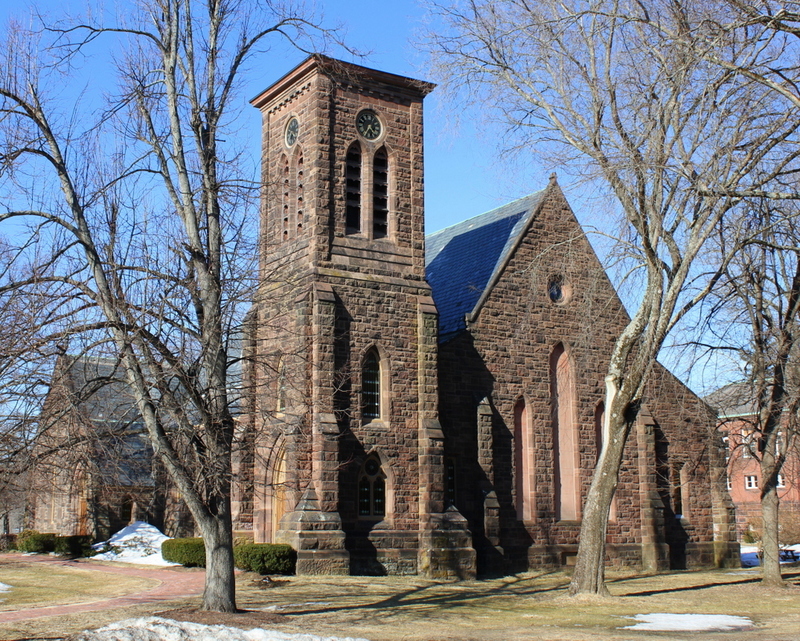 The Memorial Chapel at the corner of Main Street and Mountain Road in Wilbraham is right next to the Wilbraham & Monson Academy campus, but it wasn’t always a part of the school. It was completed in 1870, and was the third meeting house for Wilbraham’s Methodist Society. The society was established in 1793, and their first meeting house was used until 1835, when it was converted into a private home. It is still standing, directly across Mountain Road; I took this photo from right in front of it. 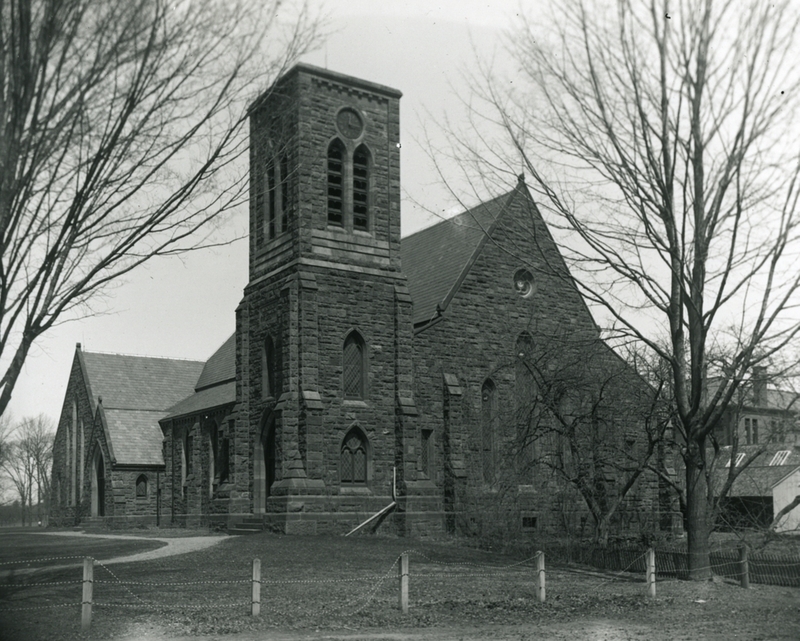 The church in this photo was used by the Methodists from 1870 until the 1920s, when they merged with the Congregational Church to form the Wilbraham United Church. The Academy acquired the church in the 1930s, and now uses it as a library and as a venue for concerts and all-school gatherings.